DSLR cameras are a popular camera choice for travel photographers, as they offer great battery life, excellent image quality, a wide range of lens options, and full manual controls. They allow the photographer to take a lot of control over their travel photography and are available at a wide range of price points to suit most budgets. We’ve put together a detailed and helpful guide to the best DSLR cameras for travel. 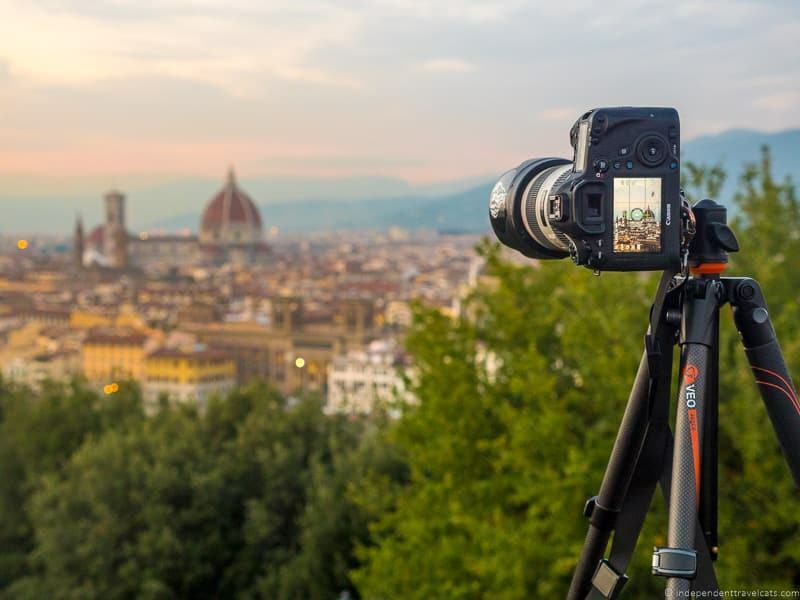 As professional travel photographers, we’ll help you decide if a DSLR camera is a good choice for you, provide advice on how to choose the best DSLR camera, and share a list of the best DSLR cameras currently available across various price points. 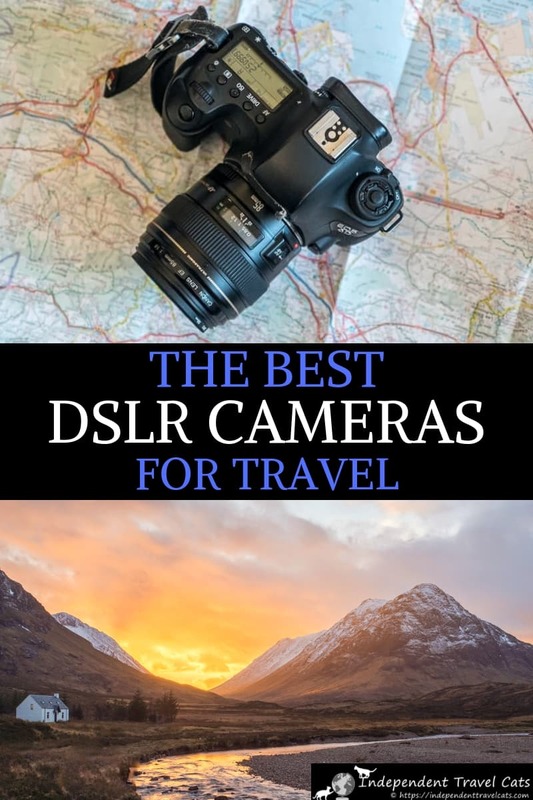 We also give advice on how to make the most of a new DSLR camera, point out camera accessories that may be useful, and provide tips for protecting your camera while you are traveling. 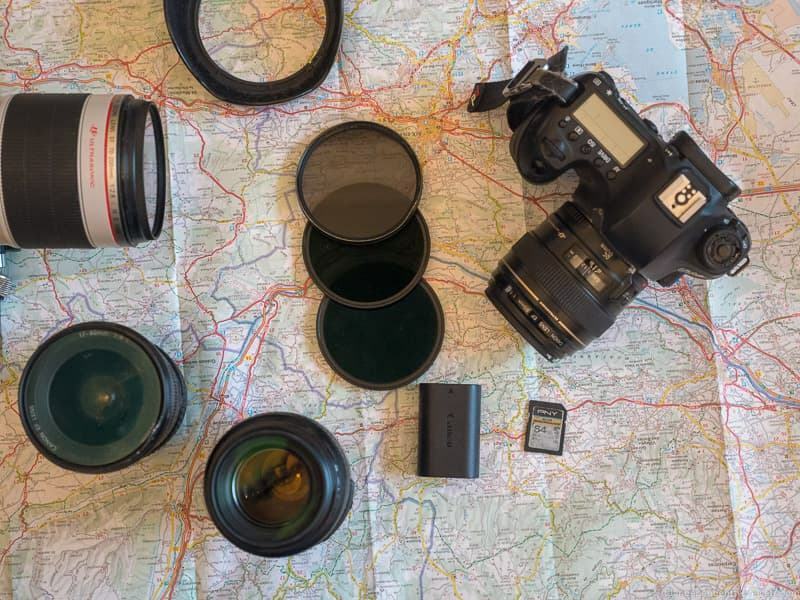 Is a DSLR Camera the Right Type of Travel Camera for Me? Before sharing our list of the best DSLR cameras for travel photography, we wanted to give you some advice on what a DSLR camera actually is, so you can start to decide if this type of camera is right for you. We’re going to cover how a DSLR camera differs from other types of cameras, and why you might want to consider this sort of camera for your travel photography needs. The abbreviation DSLR stand for “Digital Single Lens Reflex”, which is a specific type of camera that has a mirror inside the camera body and uses a digital sensor. These camera have largely replaced the film Single Lens Reflex (SLR) cameras that were the go-to for photographers for decades. The main difference is that SLR cameras use rolls of film and DSLR cameras have a digital sensor inside instead. Other than the change from film to digital in the storage of the image, the basic technology of this type of camera has not changed a great deal. First, let’s explain what an SLR, or single lens reflex camera, is. The main part of an SLR (or DSLR) camera that differs from other camera types, such as compact, mirrorless, or smartphone cameras, is the fact that there is a mirror inside the camera, which sits inside the camera body between the lens and the camera sensor. If you take the lens off a DSLR camera and look into the lens mount area, you’ll see this mirror. This mirror catches the light coming in through the camera’s lens, and reflects it up to the camera’s optical viewfinder. This viewfinder is where you put your eye when you want to compose the image. Pressing the camera shutter button will cause the mirror to flip up and allow the light to pass through the shutter curtain and onto the camera’s sensor. This is why the optical viewfinder goes dark when you press the shutter button. The way that a DSLR works has a number of advantages from a photography point of view. First, when you look through the optical viewfinder, you see what the camera sees, as the light you are seeing is passing through the lens. This makes things like adjusting the focus more accurate. An optical viewfinder is also very battery efficient, as you don’t have to power a screen in order to see what the camera is seeing, as you do with other types of cameras like mirrorless cameras or point and shoot cameras. DSLR cameras also have a number of other notable features, some of which they share with other cameras. You can change the lenses, and most of them have larger sensors than say a point and shoot camera, full manual controls, and capable performance. The technology is also very well established, meaning that there is a wide range of DSLR cameras to choose from across a wide range of price points, as well as an extensive lens selection. Up until around 2012 or 2013, a DSLR camera was the natural choice for photographers looking to improve their photography. They offered manual controls, interchangeable lenses, and the best image quality of any camera on the market. In 2012, however, mirrorless cameras began to become a popular alternative to a DSLR. Mirrorless cameras offer similar features to DSLR cameras, but most are smaller and more lightweight making them more appealing to consumers. Space and weight are especially important for those using their camera for travel photography. There are still many good reasons to buy a DSLR though, which we will go into now, by comparing DSLR cameras to other types of cameras on the market today. A DSLR camera is very different from a smartphone. You’ll get far better image quality with a DSLR than a smartphone, as well as a larger sensor, the option to change lenses, longer battery life, full manual controls, and RAW file support. Of course, there are some disadvantages. A DSLR will be much bigger and heavier than a cell phone and it’s definitely not something you can slip into a pocket, or even a purse in most cases. A DSLR will also be harder to use and is likely more expensive. However modern smartphones are fairly expensive and some phones are now more expensive than some DSLRs. However, as you likely already have a smartphone, getting a DSLR will be an additional cost. It’s worth mentioning that the latest smartphones on the market do offer some manual options, as well as clever computational technology to get the best photos with minimal user input. A few even let you shoot in RAW. So some of the smartphones with better cameras have evolved to be on par with the better compact cameras, but none are as good as having a mirrorless or DSLR camera. So if you want to really improve your photography and take control over the process, a DSLR is definitely a better choice than a smartphone. Compact cameras, also known as point-and-shoot cameras, sit in the space between smartphones and mirrorless cameras / DSLR’s. Compared to smartphones, they give you the advantage of a dedicated camera system with a larger sensor, as well as other features like a decent zoom and, in some cases, more manual controls. Compact cameras are generally easier to use than DSLR cameras and require less learning to master. They are also much smaller, more lightweight, and can often fit into a pocket or purse with no problem. However, compact cameras do have a number of drawbacks. Unless you pay a lot of money, they usually don’t have manual controls or RAW support. Image quality is also usually not comparable to a DSLR – smaller sensors and lenses means that they can only do so much. Image quality of a compact camera will usually be on par or slightly better than a smartphone. With a compact camera you are also stuck with the lens it comes with and you can’t choose to upgrade further down the line. Still, compact cameras do work for a lot of people, and there’s a wide choice on the market. Take a look at our recommendations for the best compact cameras for travel if you think this might be better for you. As previously mentioned, mirrorless cameras are rapidly becoming the go-to camera for photographers who want the advantages of a DSLR but in a lighter package. The main difference between a mirrorless camera and a DSLR is that a mirrorless camera has no reflex mirror, meaning that you won’t find a mirrorless camera with an optical viewfinder. If there is a viewfinder, it will be electronic. Instead you will be able to see a digital preview of the image on a rear liquid crystal display (LCD) screen and/or an electronic viewfinder. This has advantages and disadvantages. In terms of advantages, what you see on the mirrorless camera screen will be exactly what the image you capture looks like, as you are looking directly at the image as it is being recorded by the sensor. With a DSLR, you can only see the actual captured image after you have pressed the shutter button if you are using the optical viewfinder. Although you can also use the display screen on the back of the DSLR camera for the same effect. This advantage comes with a tradeoff though as powering that screen uses up a lot of battery, and mirrorless cameras tend to have much worse battery life than an equivalent DSLR. This can be significant, a difference between 200 to 300 shots per battery for a mirrorless camera, compared to 600 to 900 for a DSLR. DSLR cameras are also, in many cases, larger and heavier than their mirrorless counterparts. However, this doesn’t always tell the whole story, as you have to factor in the weight of the lenses and those spare batteries you will have to carry. So whilst generally mirrorless cameras will be lighter and smaller, this isn’t always the case, especially as a package. DSLR cameras are also, in many cases, less expensive than mirrorless cameras. The price of new technology and that additional screen has meant that mirrorless camera prices have stayed fairly high, and as a general rule, a mirrorless camera will be more expensive or at least as expensive as a DSLR. Finally, DSLR cameras have been around for a long time, and build upon previous SLR cameras. This means that there is an incredible selection of lenses available, including first-party lenses such as those made by Canon and Nikon, and third party lenses like those from Tamron or Sigma. This huge choice, and the massive secondhand market, means lenses for DSLR systems are often far more affordable than mirrorless camera lenses. 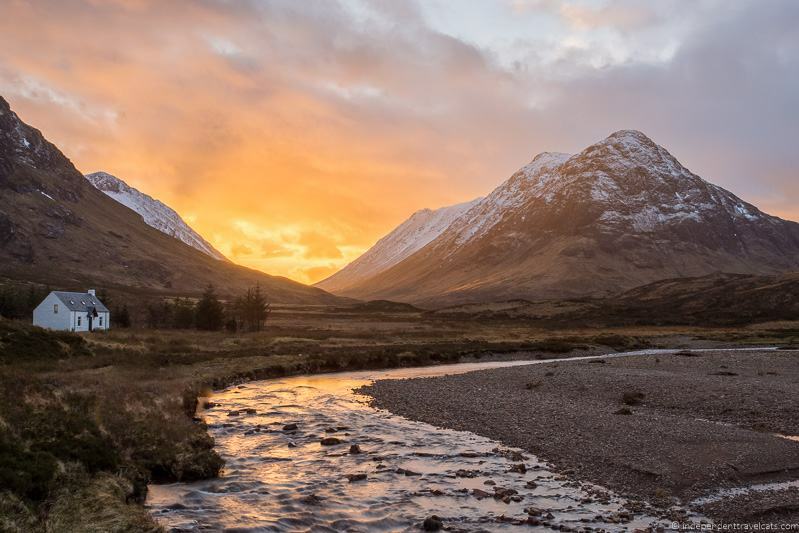 Still, a mirrorless camera will make an excellent choice for many, so do take a look at our mirrorless camera guide for inspiration. If after reading this you are leaning more towards a different type of camera, take a look at our guides to the best compact cameras for travel, the best mirrorless cameras for travel, as well as our general camera guide. If you are looking to give a gift, you can check out our guide to gifts for photographers for ideas. When you are shopping for a DSLR camera (or any type of camera), you are going to quickly encounter a lot of jargon which can be overwhelming. To help you out, we’ve put together some of the key features you should be looking out for when comparing various DSLR camera models. Some of these might be must-haves for you and other features may not be as important. One of the most important parts of any camera, be it a smartphone or a DSLR, is the sensor. This is the component which is responsible for capturing the light, and turning it into a digital image file. In the days of SLR cameras, the sensor was a physical piece of film which reacted chemically to the light hitting it. Modern cameras have replaced this piece of film with a digital sensor, and the size of this sensor is directly related to the performance of the camera. As a general rule, the larger the sensor, the better the camera will perform. 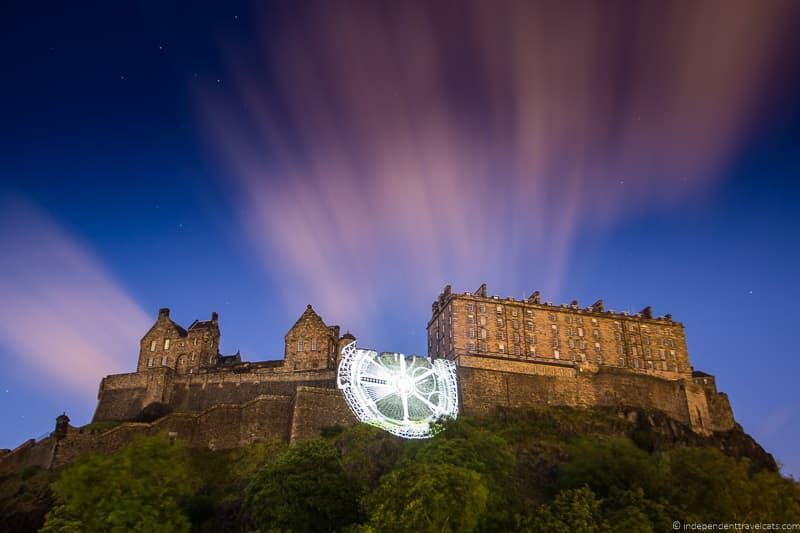 This is especially the case when using a camera for low-light or night photography as a small sensor often can’t capture enough light to produce pleasing images in these scenarios. Another advantage of a larger sensor is that is allows for greater depth of field effects. Of course, these larger sensors have a trade-off as they need a larger camera body to accommodate them and larger lenses to capture the light. So generally larger sensors come with larger, heavier, and more expensive cameras. In DSLR cameras for travel photography, there are two main sensor sizes you will encounter. These are APS-C and Full Frame sensors. APS-C sensors are the most common sensor size in DSLR consumer cameras. The sensor size is not absolute, but is generally around the size of 24mm × 16mm. If you are buying an entry-level to mid-range DSLR camera, the chances are it will come with a sensor of this size. Nikon calls this sensor size a “DX” sensor. Canon DSLRs with an EF-S lens mount system also use the APS-C sensor size. Full frame sensors are the largest sensors available in DSLRs, with the exception of the much more expensive and bulky medium format cameras that are beyond the scope of this article (but you can see a good example of this type of camera here). Full frame sensors are called this because the sensor matches the size of a piece of film as found in original film SLR cameras, which measured 36mm x 24mm. This results in a surface 2.5x as large as an APS-C sized sensor. As you can imagine, this sort of sensor is capable of capturing a lot more light, making it a great choice for low-light photography, action photography, and event photography. However, a bigger sensor both costs a great deal more, and also requires a larger camera body in order to fit it in. One popular piece of marketing material that is often used to sell cameras of all kinds is its megapixel rating. Of course, a megapixel is a real thing. It refers to the number of pixels that the camera captures when taking a picture, and it relates directly to the size of the image. As an example, if an image is 5000 pixels wide and 4000 pixels high, then it will be 20 million pixels (5000 times 4000). The million is denoted as mega so this would be a 20 megapixel, or 20 MP image. Megapixels are particularly important if you are planning on printing your work. Higher megapixel values let you print your photos at larger sizes, and will produce higher quality prints. As an example, for an 8 inch x 10 inch print, you would usually want at least a 7.2 megapixel image. The reality of course is that most people don’t print very many photos and they are primarily used and viewed on social media, websites, email, and as screensavers, where they won’t ever be displayed at greater than around 2000px. Most websites and social media sites display images at 800px or less. In these cases, even a 4 megapixel image (2000px x 2000px) will do! Although megapixels do matter to a certain point, unless you are planning on selling your photos, having them printed to a large scale format, or think you will be cropping a lot of your images significantly (this happens often in the case of wildlife photography and sports photography), then you don’t need to worry too much about the number of megapixels. Anything at 12 megapixels or above is going to be fine for the majority of the average traveler’s uses. The majority of travel photography has us holding our cameras in our hands and shooting “handheld”. For most situations this is fine, however if there is insufficient light available, images can turn out blurry thanks to our inability to hold our hands entirely still. One option of course is to invest in a tripod which is a great option for travel photography anyway. If you are interested in getting a tripod, see our guide to travel tripods for inspiration. Of course, it’s not always practical to carry a tripod around, especially when traveling. So to help with this issue, camera manufacturers often implement something called “image stabilization” into their camera technology. Image stabilization, as the name suggests, is a way to compensate for the small movements of your camera in your hands, when shooting at slower shutter speeds. The stabilization can’t work miracles, but it can help, often letting you hand hold your camera and achieve sharp results at shutter speeds as slow as 1/8th of a second. Different manufacturers have different approaches and technologies for image stabilization, with some offering this in the body of the camera itself, often with the sensor itself stabilized inside the camera. Other camera manufacturers offer this functionality in their lenses, either instead of or as well as in the camera bodies. At the time of writing the majority of DSLR cameras do not offer in-body image stabilization, instead the technology is available in many of the lenses. This reduces the price of the camera body, and then leaves you the choice as to whether or not you need the feature when you come to purchase the lens. The main criticism of DSLR cameras is that they are bulkier and heavier than most other camera types, and to be honest, this is a fairly valid criticism for the most part. Fitting a mirror that flips up inside the camera body just takes up more space, and the larger sensors inside a DSLR have to go somewhere. Essentially, there’s just no way to downsize a DSLR beyond a certain point. This said, camera manufacturers have been working wonders with DSLR cameras, taking advantage of lighter weight materials and technological advances to squeeze more kit into less space. So a DSLR camera might not take up as much weight or space as you imagine—you just have to find the one that is right for you! The weight of a DSLR goes from the lowest at around 14 ounces (396 grams.) to about 36 ounces (1020 grams), with most falling somewhere in between that range. Of course one then needs to add the weight of the lens and accessories to that number. One of the best things about buying a DSLR camera is that there will be an incredible lens selection to choose from, both new and secondhand. There are many more lens choices available for DSLRs than for mirrorless cameras. DSLR cameras have been around for a long time now (late 1970s), which has given manufacturers a lot of time to develop a wide range of lenses. For the biggest names in DSLR’s, Nikon and Canon, it’s no stretch to say that there are literally hundreds of lenses to choose from for each system. The main thing to remember when buying a camera with interchangeable lenses is that it will have a specific lens mount, and you will be restricted to lenses that have that lens mount. For example, Canon DSLR cameras have two types of lens mount “EF-S” and “EF”. The majority of Canon’s consumer cameras are “EF-S” mount, which means they can accept both “EF-S” and “EF” lenses. However, their full frame cameras, such as the Canon 6D Mark II or the 5D Mark IV, are “EF” mount lenses, which only accept “EF” lenses. Before you buy your camera, it’s important to also consider the lens you want to buy with it, or might want in the future, to ensure the camera system you are investing in will support your photography needs going forward. To be honest, with the major players in the DSLR industry, this will not be a problem as there are so many lenses to choose from. Whilst this can make picking a lens tricky, it also means that there’s really something to suit every budget and need. If you know what camera system you want and need help picking our lenses, you can see our guide to the best lenses for travel photography. If you already own a DSLR camera and have existing lenses, staying with the same manufacturer is generally a good idea. As this will likely mean that you can keep using your existing lenses, which can save you a lot of money compared to switching to a whole new system. DSLR cameras are designed for photographers who want to have full control over their photography, so they all come with full manual controls and the ability to shoot in RAW photo format so you can fully edit your photos. DSLRs give photographers as much control as possible and allow for almost any type of photography. However, not all cameras are equal in terms of controls, with a variety of buttons, dials, and menu designs. We, for example, shoot with Canon DSLR cameras, which is a system we have gotten used to over many years. Even though we are professional photographers, we still find it hard to navigate the Nikon DSLR interface and set up a Nikon camera to do what we want since we are not used to it. Certainly, every individual will vary, but it is worth considering the camera interface and controls as part of your purchasing decision. So if you are already familiar with a system of cameras (e.g., Nikon or Canon) and liked the camera interface, you’ll have less learning to do if you stick with the same manufacturer. If you are new to cameras, this will probably matter very little in choosing a camera, as you will learn the system of the camera you purchase. One of the nice things about digital sensors is that as well as being used to take photographs, they can also be used to shoot videos. Most can create videos, but they vary in the quality and video features, such as whether it has 4K video support. Whilst this guide is all about travel photography, if you are interested in video, make sure that the camera you are buying supports any video features you want. In terms of features, image stabilization, as described above, is also something to be aware of when shooting video, as this feature can help smooth out micro jitters if you are shooting video hand held. Modern cameras have to do a lot to stand out in a crowded market, and one way that manufacturers seek to differentiate their models from each other is by adding various features. Recently for example, many new DSLR cameras come with features like WiFi and Bluetooth connectivity. This allows you to do things like remote control the camera from your smartphone, which can be great for getting shots remotely. You can also copy images to your smartphone or computer without needing a cable for sharing on social media. Other features that a camera may come with include GPS, for location tagging (we find this to be a fantastic feature), electronic level indicators, and so on. These sorts of features don’t affect image quality so how useful you find each of these features is of course up to your needs, but it’s always worth knowing about them. DSLR cameras tend to have excellent battery life, but that isn’t to say that this is a universal feature, or that all DSLR cameras are created equal when it comes to battery life. Generally, you’ll want a camera that offers a least 600 – 700 shots of battery life from a single charge. Note that most photographers use the optical viewfinder when taking photos with a DSLR, but if you are using the rear display screen a lot, this will take up more battery to power the screen. It’s also worth noting that running features like GPS or WiFi can significantly impact battery life, so you will want to keep this in mind if you choose to use these features. A camera’s burst speed refers to the number of pictures it can take in sequence if you hold down the shutter button. This speed is most commonly given in either number of images per second, or frames per second (fps). As technology has improved, the burst rates of cameras has increased, with many modern cameras able to shoot bursts of 10fps to 15fps. Note that this likely won’t be sustained over time as the camera will have an on-board memory buffer that will fill up. So it is good to also check the maximum number of images it can shoot at that burst speed. Burst speed is particularly important for action photography, but it also serves as a good indicator of the camera’s overall processing ability and speed, so is a good number to know. The higher the burst rate, the better. Finally, in your list of things to look out for when buying a DSLR camera, is whether or not it offers any kind of weather proofing or dust sealing. While weather sealing does not make the camera waterproof, a weather-sealed camera will have a number of features that can help prevent water getting inside if you are out in the rain and make it more water-resistant. These usually include rubber seals around the ports and lens mounts. These same seals also help stop dust and other particles from getting into the camera. Weather sealing is usually found on more premium cameras, and especially those designed for professional use. If it is a feature that is important to you, make sure you purchase both a weather-sealed camera body and weather-sealed lenses, as the whole system has to work together as a single unit to stop water or dust getting in. 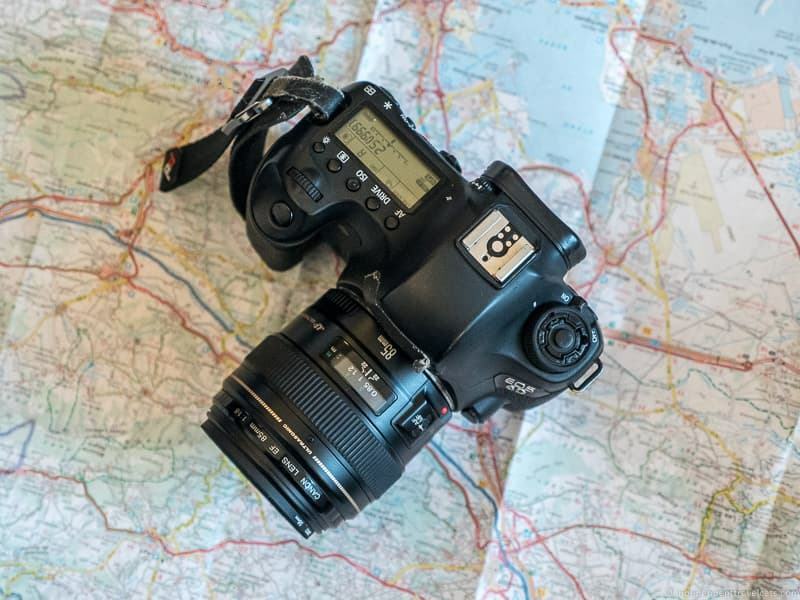 Having given you an overview of DSLR cameras and a run down of some of the key specifications and features to look for, we’re now going to go through what we think are the best DSLR cameras for travel photography. This list is ordered by price, from least expensive to most expensive, and contains, we think, some of the best DSLR cameras on the market today. For each camera, we’ll explain its key strengths, and why we’ve chosen to include it on the list. We’ve started at around USD $450 for a DSLR camera in this list. We feel that this is the lowest you should pay for a new digital SLR with an included lens (or around USD $325 without a lens). If your budget doesn’t quite stretch to this, then consider either a second-hand camera, a certified refurbished model, or instead consider either using your smartphone or investing in a point and shoot camera. We would suggest this is preferable to investing in a DSLR camera that may not perform well. Most cameras in this list come with the option to include a lens as part of a bundle, and this is often referred to as a kit lens. This can be a good deal, especially as a starting point, and for the entry level cameras in this list (priced up to around USD $700), we have included the kit lens as we feel this is the most sensible option. Up until a few years ago most kit lenses were of poorer quality, but manufacturers have upped their game somewhat in this area, and the kit lens is often a great starter lens for those looking to get into more advanced digital photography without spending huge amounts up front. If you are going to spend more than around USD $700 on a more professional grade camera, we suggest choosing and buying your specific lens separately. That way, you have more control over the specific lenses you purchase so you can get the type of lenses you need most. We suggest you check out our guide to the best camera lenses, which includes choices for the most popular DSLR systems. If you are looking for an entry-level DSLR camera, we’d recommend checking out cameras 1 to 7, mid-range 7 to 12, and professional 11 to 14. Like its main competitor Nikon, Canon has a fairly bewildering array of DSLR cameras across their whole range. The Rebel T6 (known as the EOS 1300D in Europe) is one of their entry-level models, and you get quite a bit of camera for not a lot of money with this model. Featuring a 24MP sensor, WiFi connectivity, and an ISO range up to 6400, it gives you all the control you need at a budget price point. Burst speeds aren’t great at 3fps, but it’s hard to argue with the price. To be honest though, we would likely lean towards either a slightly more expensive Canon, or the Nikon below if you are manufacturer agnostic. The low price in Nikon’s entry-level DSLR is certainly no indicator of quality, as the Nikon D3500 has features that only a few years previously would have made this a premium camera. With a 24.2MP DX sensor, 5fps shooting, and an impressive 1200 shot battery life, the Nikon D3500 has some great specs. It also features bluetooth connectivity so you can connect your smartphone, and the 18-55mm kit lens has image stabilization (Nikon calls this VR). This camera is a great starter option. It’s also remarkably small and lightweight for a DSLR camera, although it is missing some features such as a touchscreen, which is to be expected at this price point. If you really want to save money, this camera’s predecessors (the D3300 and D3400) has nearly the same features, but can be picked up for as low as USD $300 if you shop around. The D3500 does have better battery life and is lighter than these though. 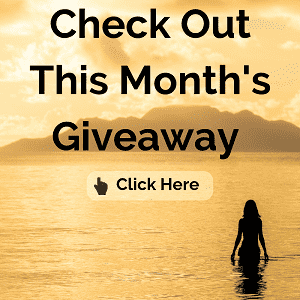 Most lists like this are dominated by Canon and Nikon cameras which is simply because they tend to have the best DSLR cameras, and have been leading the market for decades. However, they are not the only players in the game, and the Pentax K-S2 is certainly a good contender. Unlike the other manufacturers, especially at this price point, Pentax includes in-body image stabilization in its camera bodies. It also has a vari-angle LCD screen (not a touchscreen), is fully weather sealed (a feature not usually found on entry level cameras! ), features a 20MP APS-C sized sensor, and an ISO that ranges up to 51,200. This is an excellent contender, with some fantastic features at this price point. Just be aware that Pentax does not have the huge range of lenses available to Canon and Nikon systems. Compared to the Canon Rebel T6, the Rebel SL2 (known as the EOS 200D in Europe) has a faster processor, higher resolution 24.2MP sensor, moveable touchscreen, and faster burst speed (5fps). It also has a better battery life (650 shots). If you can afford the jump in price from the Rebel T6, we can highly recommend the SL2 as one of the best entry-level Canon DSLR cameras on the market today. It’s also slightly lighter and more compact than the T6, and is one of the smallest DSLR cameras with a moveable touchscreen on the market today. Note – Canon are due to release an updated version of this camera, the SL3, at the end of April 2019. If you are keen on this camera and can wait, that would be our advice. In the consumer space, Nikon has three main series – the D3xxx, the D5xxx and the D7xxx. Prices and features steadily increase between each range, and a new model number is released every one or two years to keep the ranges fresh. That said, like Canon, the new release models are sometimes more of a marketing ploy than anything, and the newer model might not always be worth the increase in price. The D5600 replaces the D5500, and whilst the upgrade is not significant, it comes in at around the same price, so you may as well get the latest version. The D5600 features a 24.2Mp sensor, a touch interface moveable screen, good autofocus performance, Wi-Fi, NFC and bluetooth connectivity, and a battery life with an 820 shot capacity. Certainly an excellent entry to mid-range DSLR to consider. At the current top end of Canon’s Rebel series, the T7i (EOS 800D in Europe) offers a number of features to make it worth your consideration. It has a 24.2MP sensor with 6 frames per second shooting, a moveable LCD touchscreen, and Bluetooth and WiFi connectivity. All this said however, it’s not as much of an upgrade compared to Nikon’s D5600, which offers pretty much the same feature set at a lower price. The Canon does have a nicer screen and slightly faster autofocus, but the Nikon has slightly better low light performance. As mentioned earlier, Canon and Nikon are two massive players in the DSLR camera space who tend to dominate best-of lists, but Pentax has some great well-priced and competitive options, including the Pentax KP. The Pentax KP is a solid choice for a DSLR, offering in-body image stabilization, a 24MP sensor, a tilting LCD screen (not a touchscreen), 7fps burst shooting, and a very high 819,200 maximum ISO. It’s also got a fully weather sealed body. Battery life isn’t ideal at under 400 shots, and it’s relatively heavy, but it gets many positive remarks about it’s high build quality and excellent image quality, especially when shooting at higher ISOs. If you aren’t committed to a Canon or Nikon purchase, and you are happy with the available lens choices, this is definitely a contender. We’re now moving into enthusiast territory, with camera costs starting at around USD $1,000 without a lens. Most of these will have the option of including a lens in your initial purchase; however, for comparison sake all these “prosumer”, mid-level, and professional level cameras will be listed at cost without a lens. The first camera in this segment is the Canon EOS 80D. This features a 24.2MP APS-C sized sensor, movable touchscreen, fast autofocus, a weather sealed body, and 7fps burst shooting capabilities. This is a very capable camera, and is certainly a step up from the more consumer oriented offerings in Canon’s range, although you do start to pay more for this level of camera. The Canon 7D has long been the Canon wildlife and action camera of choice, offering a number of features that make it stand out for this style of photography. In particular, it has a large number of autofocus points, a dedicated autofocus point selection joystick, fast 10fps burst shooting rate, and excellent subject tracking capabilities. The LCD is not a touchscreen, but it does have built-in GPS and WiFi, and a battery life of 670 shots. The sensor is a 20MP APS-C size. For wildlife and action photographers, this is a Canon camera to consider as this camera has many ideal features for quick focus and capturing moving subjects. With a weather-sealed body, tilting touchscreen, 51 point Autofocus system, 8fps burst rate and support for 4K video, the Nikon D7500 is a serious contender at this price point. The main competition to the Nikon D7500 around this price point is the aforementioned Canon 7D Mark 2. The Canon camera doesn’t offer a touchscreen or 4K video support and has a lower maximum ISO rating. However it has slightly faster burst imaging and a better autofocus system. Both cameras are weather sealed, but the Nikon is significantly lighter, and offers better battery life, rated up to 950 shots from a single battery. As you can see the Nikon D7500 and Canon 7d Mark II both have their pros and cons, so it will ultimately come down to personal preference as to which you prefer. The Canon 6D range is Laurence’s personal favorite DSLR camera for travel photography. He is a long-term Canon user, and this camera has everything he needs from a travel camera. To start with, this is the first full frame camera on our list. A full frame sensor is bigger than the APS-C sized sensors used in all the cameras thus far, meaning it captures more light, and therefore works better in low-light situations. This camera also has built-in GPS, which we find essential for keeping track of where all our photos were taken, as well as a weather-sealed body, tilting touchscreen, and a remarkably compact and lightweight design considering the large sensor. It’s also incredibly well priced for a full frame camera, and the battery is rated for up to 1200 shots. It also offers a burst photography speed of 6.5fps, a significant upgrade from the original 6D. ISO support ranges up to 102,400, and the full frame sensor is 26.2MP in size. It’s time for Nikon’s entry-level full frame camera, which sits in competition to the 6D Mark II – the Nikon D750. With a 24.3MP FX (Nikon’s name for full frame) sensor, this is an excellent camera. You get a tilting touchscreen, excellent low-light performance, 6.5fps burst performance, ISO up to 51,200, and built-in WiFi. The camera is also weather sealed and offers a 1,230 shot battery life as well as a good autofocus system. Like the 6D Mark II, video is limited to 1080p. It is slightly larger than the 6D Mark II, and has no built-in GPS. However, both are excellent cameras, and the decision will likely come down to which camera system you feel most comfortable with. We’re now stepping up to the more flagship DSLR cameras available on the market today. Although there are “better” cameras out there, which are a bit more specialist, the two cameras at the top of our list from Nikon and Canon are widely regarded as the go-to workhorse cameras of photographers of all types. First up, Canon’s contender is the EOS 5D Mark IV. As the name suggestions, this is the fourth iteration of this camera model, which has been a stalwart camera in the professional photographer’s bag for a long time now. The 5D Mark IV offers a 30.4 megapixel full frame sensor with 61 autofocus points, ISO support up to 102,400, 4K video support, a touchscreen, weather-sealing, fast autofocus, 7fps burst shooting speed, built in WiFi and GPS, and image quality that is ranked amongst some of the best available. It’s a definite price jump from the 6D Mark II, which we think will work fine for most travel photographers, but if you need the extra features, this is an awesome bit of kit. With a massive 45.7MP sensor, 9fps burst shooting rate, a tilting high-resolution touchscreen, 153 autofocus points, weather sealing, and 4k video support, Nikon’s professional level camera has a lot going for it. That sensor in particular has been roundly praised as being one of the best in the market, offering a wide dynamic range and excellent low-light performance. There’s no on-board GPS, and it is slightly heavier (and more expensive) than the Canon 5D Mark IV. The D850 may have a slight edge over the Canon 5D, but it is a bit more expensive too. Both are excellent professional-level camera choices. Hopefully by now you have a better idea of which DSLR camera is going to be best for you, your travels, and your budget. Of course, a camera isn’t everything when it comes to photography. Getting a great photo comes down mostly to the operator (that’s you!) of the camera rather than the camera itself. With that in mind, we wanted to share some tips to help you get the most out of your DSLR camera. Photography is all about composition. What’s composition you ask? Composition is the art of placing your subjects in a way that is visually pleasing to people looking at your image. It is important not only in photography but in most forms of visual art and it is a skill that artists have been practicing for centuries. A well composed photo is a photo where the subject is clear to your viewer, and is one that people will enjoy looking at. There are various techniques that you can use to compose great images, such as the rule of thirds, leading lines, use of color, symmetry, and more. As you might imagine, composition is a lengthy topic, and one that deserves its own post. Which we have written! Check out our guide to photography composition for some ideas on how to compose a great photo. A common mistake that many people make when transitioning from a smartphone or point-and-shoot camera to a DSLR is believing that the camera will automatically take better photos. This could not be further from the truth. Whereas a DSLR is capable of taking far superior photos to a smartphone or compact cameras, it is a much more complex piece of equipment and takes more time to learn how to use it properly. If you leave it in auto, you might find that the images you are getting are the same or even worse than those taken with your smartphone! This is because a smartphone camera has a lot of software that exists to do photography for you. With a smartphone or compact camera set to auto, all you have to do is compose a great shot, and the software will figure out things like exposure, shutter speed, and ISO for you. This may not get you the best photo, but it generally gives you a good photo. A DSLR, in most cases, is designed to give you more control over these aspects of photography. This means that you will have to learn how to use it to get the most out of it. A good place to start is to read over your camera’s user’s guide, although don’t worry if you don’t understand everything or know what every button does. The main thing you’ll want to learn is how to control the exposure, or how bright / dark the image is, which you do by adjusting the camera’s shutter speed, aperture, and ISO. You’ll also want to learn the different focus modes on your camera and how to control those, as well as other features like subject tracking, control of the flash, and more. Nearly every camera will have various guides and videos online that you can search for, and reading these in collaboration with an online photography course will have you handling your camera like a pro in no time. One of the major advantages that a DSLR camera has over a smartphone or basic compact camera, is that you can shoot in RAW (see our guide to RAW in photography here). RAW is an uncompressed file format where all the data that the camera records when it captures an image is saved to the memory card. It’s sort of the equivalent to a film negative, and it contains a great deal of image information that other formats, like JPEG, lose. It is important to note that RAW files also take up more memory than JPEG or JPG files. The downside to RAW is that you have to edit the photos to make them useable, as RAW files aren’t supported by web browsers. Instead, you need to open the RAW file in your editing software, apply the changes you want to make, and then save the file in a friendlier format like JPG. Our go-to recommended editing software for RAW files is Adobe PhotoShop Lightroom. This takes a bit of time to master, but will help you get the best results from your images. Adobe software also allows you to sort, label, and organize your images. There are also free online photo editors that can handle RAW files, plus your camera should come with software that will let you edit the files your camera produces. Some phone apps like Snapseed (see our list of favorite travel apps) can edit certain types of RAW files on the go as well. But eventually we recommend getting and learning to use a more powerful software like Adobe Lightroom. You can see our guide to photo editing software and apps for a list and comparison of current options so you can decide which is best for you. As with every device, there are some accessories that we think are worth investing in to help with your photography. Extra batteries. Whilst DSLR cameras are not as battery hungry as a mirrorless camera, there’s nothing worse than your battery going flat before you are done shooting for the day. Your camera probably comes with one battery, and we always recommend packing a spare. Memory cards. You’ll definitely need a memory card for your camera, although sometimes you can buy a camera as part of a bundle with a memory card included. We generally recommend having at least 2 with you as if one is full or if something goes wrong with one, you have a spare. We personally use and recommend these memory cards, but you have a lot of options. A camera bag. You’ll definitely want some sort of protection for your camera and lenses, especially when traveling. We recommend investing in a dedicated camera bag as these have the necessary padding to keep your equipment safe. We also suggest you get one that is a little larger than your camera and main lens, so you store a few other things in such as your spare batteries, memory cards, lens cleaners, and things like that. Here are some camera bag options to consider. Lenses. If you buy your camera without a lens, you are definitely going to want a lens or two to get you started. There’s a massive choice of lenses out there, so we suggest you have a read through our lenses guide for tips on purchasing new lenses for your camera. If you have a question about a lens for a particular camera, feel free to ask it in the Comments section below. Weather protection. We often encounter less than ideal weather while traveling. In these cases, you’re going to want to make sure you have either a waterproof case or bag to keep your gear dry in between uses, and a large Ziploc bag or dry bag can work in a pinch. You might even consider investing in a weatherproof sleeve so you can keep shooting even if the weather is terrible. UV filter. We usually have a clear UV filter on our lenses to help protect the glass from bumps and scratches. This doesn’t affect image quality but is used to help protect the lens itself from damage. These should not be confused with neutral density filters, which change the amount of light hitting your sensor. Camera strap. Whilst most cameras will come with a strap, we find that an upgraded camera strap makes for a much better carrying experience, as the manufacturer straps often are not super comfortable or appealing. We use and love our Peak Design straps which we use with both our mirrorless and DSLR cameras. Lens clothes / cleaners. We seem to be always wiping away a smudge or a bit of lint from our cameras and lenses, especially our cameras with interchangeable lenses. So we always have a couple of microfiber clothes and a blower/brush tucked away in our camera bag. Just be very careful of what you use to clean optics with, especially if you need to use liquid cleaner. Tripod. If you are serious about your photography, you should consider investing in a tripod. This can help you shoot in low light conditions, capture better photos of yourself, do more advanced techniques, and take better couple photos when traveling. Although a bulky tripod is not ideal for traveling, you can get a foldable mini-tripod like this one that can fit into a larger purse or backpack. 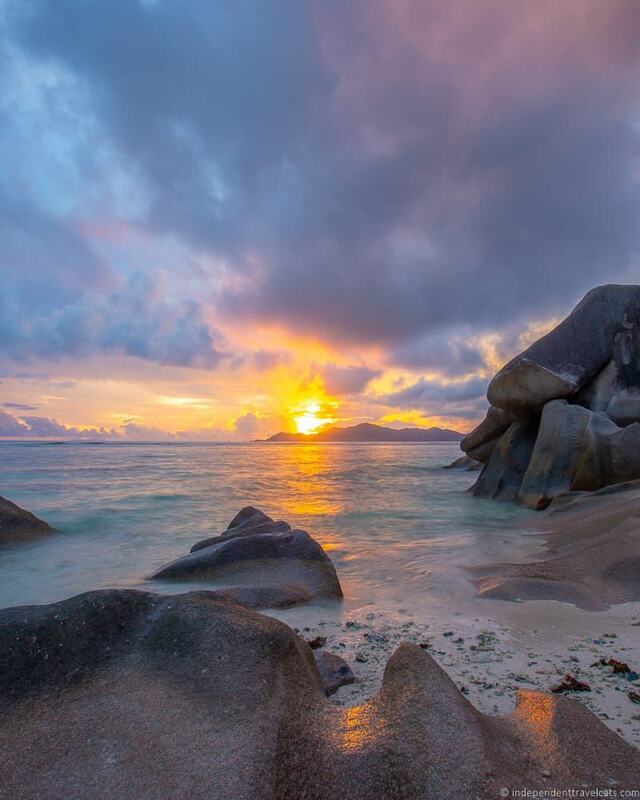 We have a travel tripod guide to help you explore your options. Like any skill, photography takes time and practice to master. Photography can also be a fairly complicated skill to fully grasp, as there are multiple elements to consider, from learning how to compose a photo, to understanding how to properly use a camera, through to editing a RAW file. With this in mind, we can definitely recommend that you look at the options you have for improving your skills. These can be as simple as doing a Google search for a specific issue through to more structured learning options like finding a photography book, taking a local photography workshop, or signing up for an online photography course. 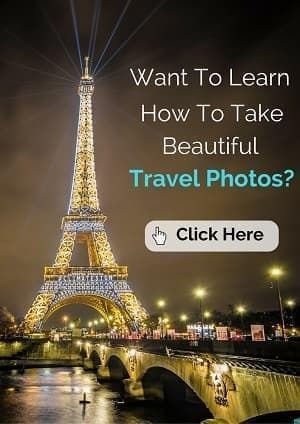 With regards to the last, Laurence has actually created an online travel photography course to help everyone improve their photography, whatever their level. So far he has had over 1,000 budding photographers sign up to his course. 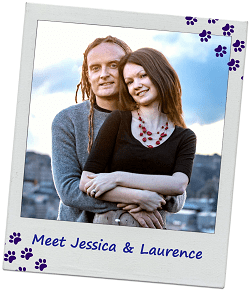 Laurence’s online photography course allows you to learn at your own pace while getting personalized feedback. It will teach you everything you need to know about taking better photos, from mastering your gear to editing your photos. It’s literally a one-stop shop with no upsells that has everything you could ever need to know about photography in one place. It starts with the basic concepts of photography and moves to more advanced content and photography techniques. Whether you decide to take a course or not, one thing that is critically important is that you practice a lot. Practice makes perfect, and this is definitely true for photography. Identify as many opportunities as you can to use your camera and take it with you, and before you know it, your skill level will increase! 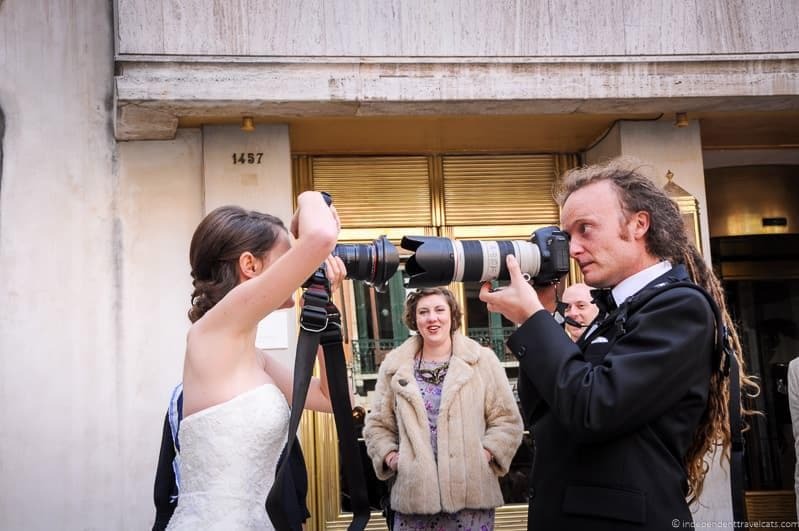 us with our cameras on our wedding day in Venice! And that’s it for our advice on choosing the best DSLR camera for travel! We hope you found it useful. As always, we love to hear your feedback and questions, just let us know your thoughts in the comments below! Do you have any of your own tips or advice on choosing or using a DSLR camera? Have a questions about DSLR cameras or travel photography? If so, just let us know in the comments below! Travel Photography: Do I Need A Travel Tripod? I’ve been looking at DSLR cameras for outdoor travel photography, and one I came across that sounds really interesting is the Canon EOS 77D. Not too bulky, but a great feature set for a good price. It’s not on your list, but do you have an opinion on this camera for outdoor photography? I’m mostly looking at good landscape photography with a nice wide angle lens. So the Canon EOS 77D is a solid camera too. The problem Canon have is that they seem to want to make a camera at every price point, so it makes including them all challenging. It also means that the real world performance doesn’t seem to be that different as many of the cameras share the same tech. The 77D basically sits between the T7i (800D in Europe) and the 80D in terms of technology. However, it’s priced more like the T7i, making it a good deal, as it has a slightly better image processor on board. Other than that the tech is pretty much the same. This was super informative but also left me a little confused. I visited a Canon store and after letting them know my requirement for travel photography, the assistant advised me on buying Canon EOS 750D, This one is however not on your list at all. I am glad I didn’t buy any yet. Will look through the Canon options on your list and make a decision. Thanks for this detailed article. First, let us say, that the best DSLR camera for travel is going to vary across people and opinions, so I am sure plenty of other perfectly capable models. So Canon has a habit of releasing many cameras with only incremental changes 🙂 The closest to the EOS 750D that you mention is the EOS 800D (also known as the Rebel T7i). The 800D is basically the a recent version of the 750D. The 800D has better battery life, a newer image sensor, a better kit lens, faster autofocus and faster burst speed shooting. So the changes are fairly significant. That said, the Canon 750D can be purchased at a more budget price point as it is now a bit older, and it is still certainly a very capable camera. Glad to hear from you. Ok, so between Canon EOS 800D and Nikon’s D5600 which one would you recommend? I am ok with either Canon or Nikon and have a budget of $ 1K but cant come to a decision on which one is best for travel photography. If you had to pick one within this budget (or maybe slightly more) which one would you suggest? So this is definitely a tough call. I’ve shot with Canon since I was 13, so I am totally used to the Canon menu system, and find Nikon’s hard to use as a result. However, if it was the other way round, I’m sure I’d have the same problem with Canon cameras! Both cameras are excellent. The Canon has slightly faster autofocus, but the Nikon has better low light performance. I would probably edge towards the Nikon on the basis of cost though – the Nikon can be had for about $100 less, and so you could buy it body only and then spend the extra savings on a nice lens. Happy to report that I am now a proud owner of a Cannon DSLR 🙂 Thanks for your honest advice. Congrats, enjoy your new Canon camera – hope it works out well for you! Just received some Christmas money and looking to buy my first DSLR. I have only used a cell phone or point-and-shoot kind of camera before, so was not sure what to look for but your guide has been very helpful. I think I will go for either a Nikon or Canon since they have more legacy and lens options….I have no history with either. Is one better or easier to use than the other? 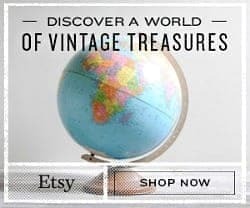 Thanks in advance for your help and great post! Hi Ken, Lucky you to have some money to purchase a camera for Christmas! Well, there are some small differences between Nikon and Canon cameras, but basically they are both great brands for DSLR cameras and both have been around for a long time. Both manufacturers make entry to professional models so easy to move up with both brands, if you wish to do so in the future. I’d just pick one and then stick to that brand. That way if you upgrade your camera body, you can still use many of the lenses and accessories for your next camera. For a good entry-level camera, I’d recommend taking a look one of the Canon Rebels or the Nikon D5600 and base the decision on your budget and any important features that are must-haves for you. I think my best advice is to hire you guys to come with me on all my vacations and take photos:) Wouldn’t it be great to have a personal photographer for every trip? I would love that…Merry Christmas to you both!